Phase 2 of the Hcg Diet is the rapid weight loss phase. It is usually the most exciting yet, restrictive phase of the protocol, which is why a great deal of planning ahead, can be helpful. We’ve put together this handy guide, to cover everything you need to know to master this phase of the diet. Let’s get started! 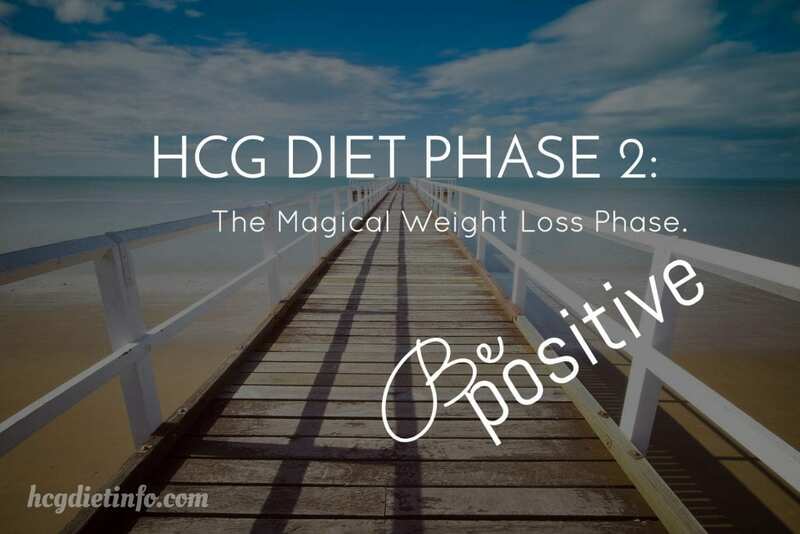 Phase 2 (P2) of the Original Hcg Diet Plan is the weight loss phase and lasts 3 to 6 weeks. During this phase, the dieter takes a daily Hcg injection, drops or tablets and adheres to a very specific list of foods VLCD (very low calorie diet.) The VLCD also includes specific portions and preparation details. When followed precisely, fat loss is typically seen daily, at morning weigh-ins. Depending on personal choice, a daily injection of hCG or dosage of drops or tablets, are taken Daily. Hcg injection dosages range from 125ius to 200ius, and can be adjusted based on personal needs. Most individuals do fine at any dosage, however some individuals need adjusting to reduce hunger and increase loss rates. It is very common for this to change from round to round, and from Hcg source to Hcg source. 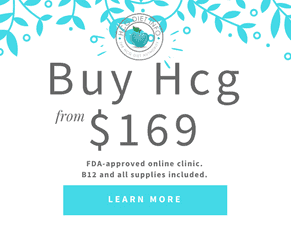 For Hcg dosage adjustments, we offer free expert Hcg Diet support in the Hcg Diet Info Forums, and you can always ask the expert support coaches at the Hcg source your bought Hcg from. 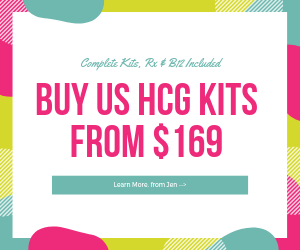 Each company listed on Jen’s List of approved Hcg Sources on the Buying Hcg Guide, will assist with tailoring Hcg dosage. Phase 2 typically consists of the 500 calorie diet, (VLCD or Very Low Calorie Diet) outlined in Dr. Simeons manuscript original protocol. However, there are individuals who may prefer to eat more than the allotted 500 calories per day. While the original protocol has an extremely high success rate, there are plenty of individuals who have followed protocols recommended by their Hcg provider and experienced significant losses. There are also individuals who may not need to lose an excessive amount of weight and can safely increase vegetables and protein. Particularly for those who are extremely active, an increase in calories may be ideal as well. 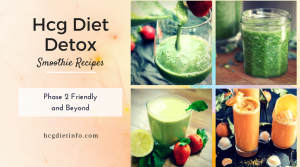 The most commonly followed approach is the 500 calorie original protocol and while it may seem daunting, the truth is, we have seen millions of dieters approach this with great success. We have also seen great success with individuals who have chosen to remain lightly active (daily walks or rebounder workouts) with 600 to 700 calories. This should be discussed at length with your Hcg provider and the sources listed on the Hcg Buy-Guide will offer support in this arena. Do I have to Eat all 500 Calories? It is strongly advised that all 500 calories are eaten each day during Phase 2 of the Hcg Diet plan. This is important for many reasons. First, it helps maintain your metabolism at an efficient rate. It also keeps the body’s natural cycles functioning. Most importantly, it is important as a healthy eating approach for future weight maintenance. This is a time to focus on feeding the body for nutrition and “providing” for the body, rather than focusing on restriction. Ideally, the goal should be to achieve a state of healthy eating, focused on nourishing the body for efficiency and good health, and consistent eating is key to this. 1 Protein serving 2 times per day: 100 grams/3.5 ounces for each serving. All meats should be weighed raw and before preparation of any kind (seasoning, marinade, etc.) All visible fat should be removed from the meat as well. If weighing meat that has already been cooked, the serving amount should way around 80 grams. Vegetable: Serving size: None is indicated in original protocol. You are allowed to eat to satisfaction. In the original Hcg Diet protocol, Dr. Simeons restricted the mixing of vegetables. While the reason was not explained in the manuscript, it is believed this was to avoid unknowingly eating too many calories. Many Hcg Dieters and many modern protocol variations permit the mixing of vegetables in Phase 2. This is a personal choice and one that can be tested to see if the same results are achieved on days where vegetables were mixed, as opposed to days where they were not mixed. An apple day is a stall approach used by Dr. Simeons in the Original Protocol. It involves eating up to 6 apples (red or green is fine) and lowering water intake. Nothing else is permitted on Apple Days. The appropriate way to do an apple day, is by beginning at noon on one day and ending at noon the next day. The purpose of an Apple day is to correct a stall, address water retention. More importantly, the purpose of an Apple Day is to assist with the emotional aspects of a stall and get things back on track. Lear more about Hcg Diet Apple Days. The daily weigh in should be done each day, at the same time in the morning. This should be done before anything is eaten or drank for accuracy. It is also suggested that a body fat scale is used, so fat loss and other factors can be measured in addition overall weight. This can be helpful for many reasons: to see overall weight loss down to the ounce, and so that body fat loss can be monitored. Particularly important is that muscle mass can be measured to avoid muscle loss. If this occurs, adjustments to the diet need to be made and the hCG itself may need to be replaced. 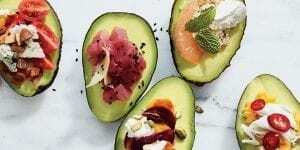 No fats – this rule is simply due to the fact that fat is very calorie dense and will deprive you of your daily calorie allowance quicker than you think. Some Hcg Diet protocol variations allow very small amounts of fat, but is it worth using over 100 calories of daily allowed calories for just a tablespoon of oil? Probably not but this is a personal choice. Adequate protein – it is extremely important in order to avoid muscle wasting and to provide the minimum amount of protein required for the body to run efficiently. According to some higher calorie Hcg Diet Protocols, dieters should ingest at least one gram of protein per kilogram of body weight. Based on the original Hcg Diet protocol, the allowed proteins permitted include: 100 grams of veal, beef, chicken breast, fresh white fish, lobster, crab, or shrimp. Ideally you want to choose lean options such as white fish and chicken. Dairy should be avoided, with the exception of skim cottage cheese permitted as a protein serving. Ideally dairy should be avoided on Phase 2. Vegetables are an important part of the Hcg Diet and particularly on Phase 2. The vitamins, minerals and fiber they provide are essential to good health and well-being. Consuming your vegetables with protein can help with vitamin and mineral absorption, as well as improve digestion. They also make a great, low calorie snack. Again, an important tip to keep in mind: this is a great opportunity to start learning to love vegetables, as a long term weight loss maintenance habit. Get creative with your vegetable recipes, and experiment with new produce. Visit different grocery stores, health food stores and farmer’s markets for new experiences, or try a grocery or produce delivery option. Check Hcg Diet Foods section for recommended sources. Depending on the individual’s needs and personal choice, limited carbohydrates are permitted including 1 piece of melba toast and 1 breadstick per each lunch and dinner are allowed. As an alternative, these can be allowed as a snack. It is highly recommended to eat these with greens, as a weight loss maintenance habit of adding “greens to ever plate” and avoiding carb based meals and snacks. Drinks on P2: water, black tea, coffee, diet soda (1/day) are permitted, however is it strongly recommended that only water is consumed. Remember to stay hydrated at all times as it is necessary to keep your metabolism going and your weight loss rates continuing at an efficient rate. Under no circumstances should you drink alcohol, juices or regular soda. For your convenience, a concise and easy to follow overview of the protocol is available: Original Hcg Diet Protocol. According to the original Hcg Diet, all Hcg injections should be stopped during menstruation. While the specifics of this are not too well discussed in Pounds and Inches, most women on the diet, stop taking Hcg during their heaviest flow days. The VLCD is continued during this time as normal. Some Hcg Dieters continue with their Hcg during their periods, however, keep in mind that this can change the flow, duration, and intensity of PMS. Nothing serious has been reported from doing this, but it is important to be aware. 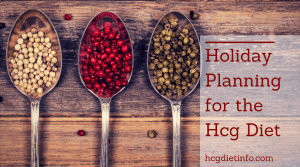 The Hcg Diet Phase 2 Timeline – How long is it? Phase 2 of the Hcg Diet lasts for approximately 3 to 6 weeks. This can vary depending on your personal choice, the type of Hcg you are taking (injections, drops, tablets/pellets.) This can also vary depending on how much weight you have to lose and how fast you would like to use it. A reliable Hcg source will offer support in deciding how long your personal Hcg Diet Phase 2 will last. Planned interruptions can be done if 23 Hcg injections have already been completed. This is important to avoid regaining weight during the interruption/break while on Phase 2. 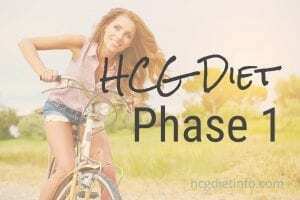 How to do a planned interruption during Phase 2 of the Hcg Diet: discontinue taking the Hcg as though finishing Phase 2 using the 72 hour transition approach. Transition to eat as you would in Phase 3 to point of eased satisfaction. This will land calorie intake around 800 to 1600 calories for the day. When ending the planned interruption, it is not necessary to re-load as Phase 1. Instead, begin to take the Hcg again and resume with the VLCD to complete the round as normal. Many dieters report a loss of .5 to 1 pound per day, which is impressive! But what if you stall? Here are a few tips to overcome a plateau. The primary reason for stalls and plateaus on P2, is dehydration. Without sufficient water intake, the body simply cannot run efficiently, let alone maintain steady weight loss. Another primary reason for Phase 2 stalls and plateaus is diet mistakes. Sometimes these are simple errors such as “one bite won’t make a difference” (it does!) but most often, it is unintentional VLCD strays. A few examples: not properly weighing foods and unknowingly selecting foods with additives that are not permitted on the Hcg Diet in Phase 2. 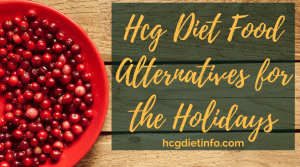 As an example: there have been numerous posts in the Hcg Diet Forums where Hcg Dieters mistakenly purchased processed meats believing they were acceptable for Phase 2. Unfortunately, a closer look at the ingredients showed added sugars, starch, and other additives that could not be pronounced. Be sure to read labels with a fine tooth comb, and avoid any foods that are questionable. Also, remember to measure all foods for accurate weight and portion control. It may be time for your Hcg to be replaced, or for a dosage adjustment. For help with this, visit the Hcg Diet Forums. As a final note, keep in mind that the slimmer you get, the slower the losses may become. Don’t be afraid to ask for advice and support, and always stay consistent. You will soon begin to see results again and reach your goals. It is acceptable to break up the phase 2 meals as you would like. Many Hcg Dieters have found it to be useful to have 5-6 small meals throughout the day, rather than 3. Sweeteners on the Hcg Diet: While most Hcg Dieters tend to do well with Splenda and Stevia, these should be used minimally as they can effect weight loss and cause other health concerns. Do not mix serving allowances. For example, the two fruits that are permitted each day, should not be eaten at the same mealtime. Read this If you are experiencing Hunger on the Hcg Diet. 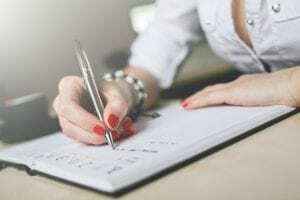 What HCG Dosage is right for me? How do I adjust my dosage of HCG? Which Skincare Products can I use on the HCG Diet? Should I exercise on Phase 2? How to set a weight loss goal that is right for me? – coming soon! How to prepare for Phase 3 (72 hours before starting P3) – coming soon! What are the best sweeteners for hcg diet Phase 2? What are the worst sweeteners for the hcg diet phase 2? Where do I buy HCG supplies? How long should I wait between rounds? Is an EXTENDED ROUND ok if I want to lose more weight? Is a shorter break between rounds ok? Why are breaks between rounds so long? When you need to stop taking hcg DURING a round. How to stop taking hcg DURING a round. 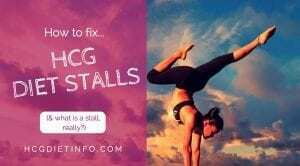 What exactly is a “stall” on the hcg diet? Should I use Apple day for a stall fix? 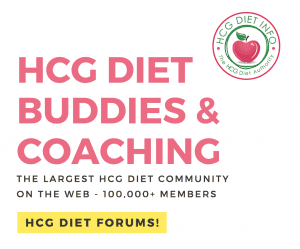 How to “fix” a cheat on the Hcg Diet Plan? What about hcg and hair loss?